Nike made a mistake when it made NFL quarterback Colin Kaepernick the face of its new ad campaign. That is the opinion of President Donald Trump. Nike has the freedom to make these mistakes, it’s just something I would never had done in their shoes. This week Nike announced that it was reprising its “Just Do It” campaign with Kaepernick tweeting the message “Believe in something, even if it means sacrificing everything”. Kaepernick made headlines in 2016 when he started kneeling for the national anthem, claiming he could not stand for the anthem because blacks are oppressed in America. Kaepernick, who was with the San Francisco 49ers at the time, has since not been picked up by any NFL team. Trump said that Nike was wrong to have embraced Kaepernick. “I think it’s a terrible message. Nike is a tenant of mine. They pay a lot of rent,” Trump said. “But I think it’s a terrible message that they’re sending and the purpose of them doing it, maybe there’s a reason for them doing it, but I think as far as sending a message, I think it’s a terrible message and a message that shouldn’t be sent. There’s no reason for it,” he added. 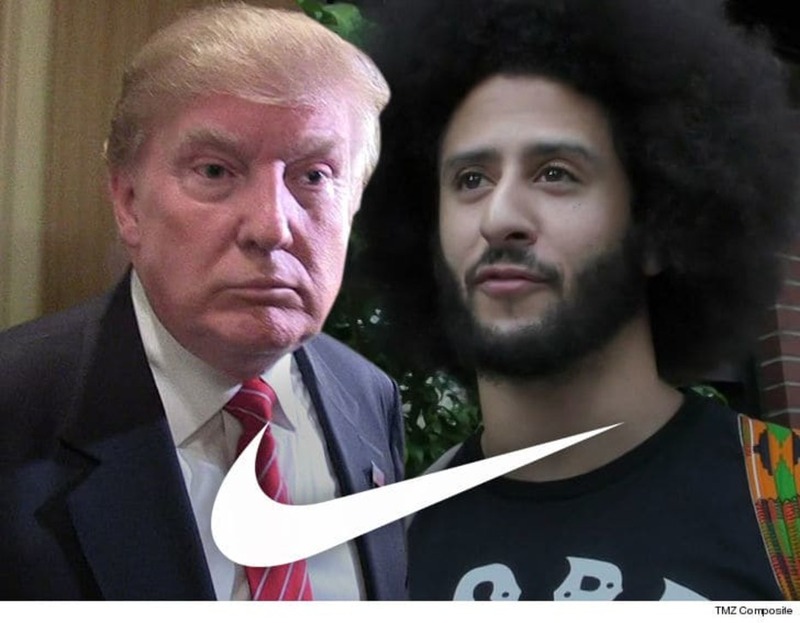 Trump, who made his billions in the private sector, said that a business has the freedom to make the kind of decision Nike made. “As much as I disagree with the Colin Kaepernick endorsement, it also reflects the freedoms that this country is about the freedom to do things that other people think you shouldn’t do. Trump was more philosophical than he was last year, when he told Fox News host Sean Hannity that Kaepernick deserved to be suspended for his gesture. Many believed Nike should pay a price for embracing Kaepernick, and urged a boycott of the company. One commentator said Nike will be making money for years because of its use of Kaepernick as the face of its campaign. “What Nike did is a game changer,” said sports marketer Mark Williams, according to CBS. He said Nike is catering to young customers and a diverse audience. NFL players Odell Beckham, Shaquem Griffin and tennis player Serena Willams are also featured in Nike’s 30th anniversary ‘Just Do It’ campaign.